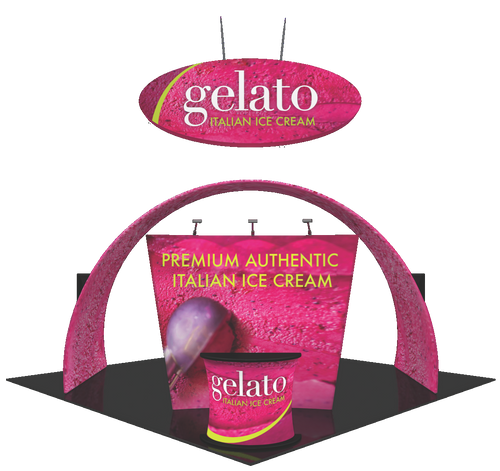 GLM Displays offers many options for 20x20 trade show displays. The look and feel of the overall booth space you are after will determine which styles you may want to consider. Some 20x20 displays offer slim designs and a narrow foot print, where others may take up more real estate on the trade show floor space. Some systems can help separate your space to tell a story better, where others make the entire layout feel open. 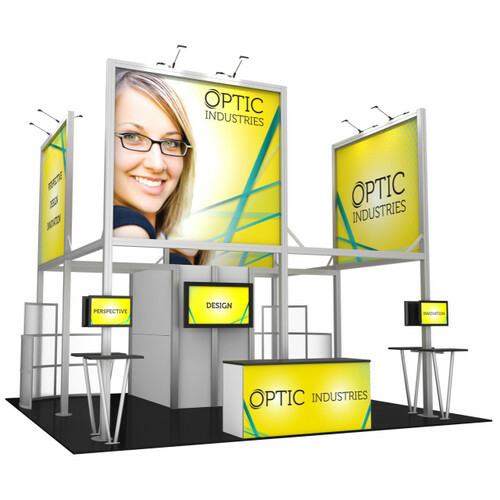 Make the most of your trade show space with our 20x20 exhibit kits. These kits are sure to provide the wow factor! 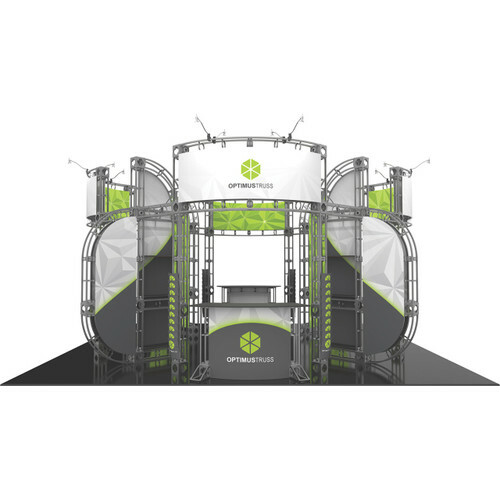 The Formulate Fusion 20x20 Kit 05 has room for 3 monitors, and the 20x20 Vesta Truss Display even comes with two reception counters!